1. The state legislature killed nearly all legislation introduced this year to regulate fracking after Big Oil and Gas companies flooded Sacramento with campaign contributions, the LA Times$ reports, citing data compiled by the Berkeley-based Maplight.org. Big Oil and Gas donated at least $464,000 and outspent fracking opponents by a 7-1 margin. Although polls show that a majority of Californians support a moratorium on fracking, eleven of twelve bills designed to regulate the controversial oil and gas extraction method went down to defeat and the only one left is a weak, watered-down bill. Politicians who voted against the fracking bills received 31 times the amount of donations from Big Oil and Gas as they did from groups that want to regulate fracking. 2. 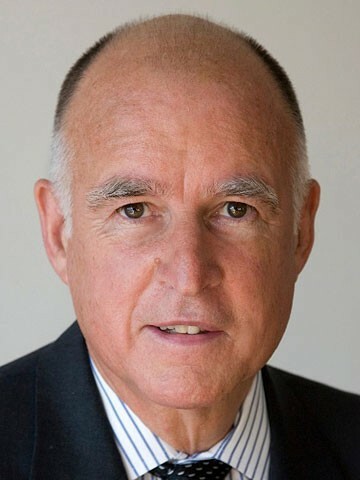 As part of the budget package, Governor Brown and the state legislature quietly approved a bill that gutted California’s public records law, the Bay Area News Group reports. The legislation, which never went through committee and involved no public discussions, allows local governments to turn down public records requests from citizens without providing a reason and would no longer require them to respond to requests within ten days. Brown and legislators have said the changes will save money, but have not provided any evidence of how much. 3. Oakland city officials are scrambling to explain why 47 civilian positions within the Oakland Police Department have not been filled — at a time when the administration is asking the city council to approve funds to hire more civilians within OPD, the Chron$ reports. Mayor Quan attributed the hiring backlog in part to the fact that the city’s Human Resources Department is understaffed and overwhelmed. 4. UC Berkeley’s attempt to finance the recent $450 million upgrade of the Memorial Coliseum with the sale of seat licenses is failing miserably, the Chron$ reports. Lack of sales could result in the university being forced to divert money from academics to make up for the huge shortfall. The university, however, is hoping that a new marketing and sales plan will get the campus’ finances back on track. 5. And locker-room showers at the aging Oakland Coliseum backed up with sewage following the A’s game Sunday, forcing the A’s and the Seattle Mariners to scramble to find a place to get dressed, the AP reports. Coliseum officials said the A’s six-day homestand, which drew more than 170,000 fans, overwhelmed the facility’s plumbing system.